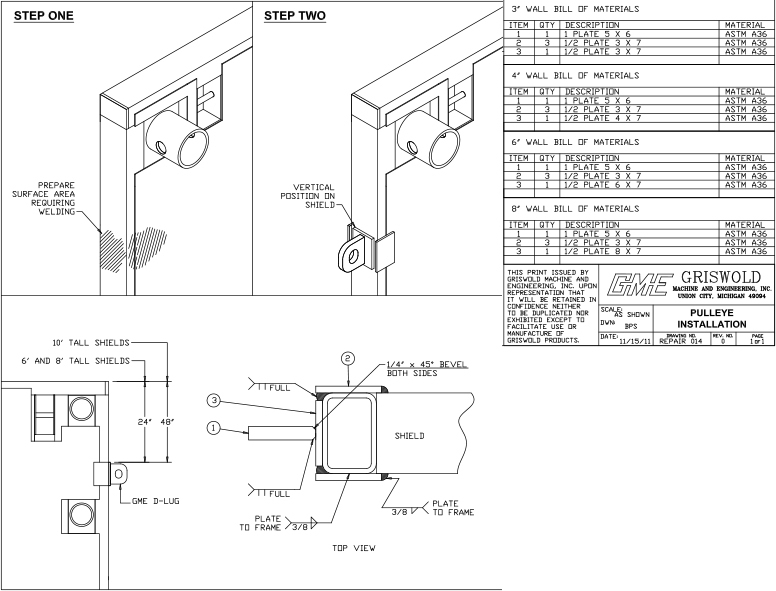 Weld beveled D-lug (see detail) to item #2 plate. Place the assembly centered on the end of the shield. Follow by welding item #2 to both the interior and the exterior sides of the sheild. See "Top View" for weld details. GME to supply required parts or plate mtl.